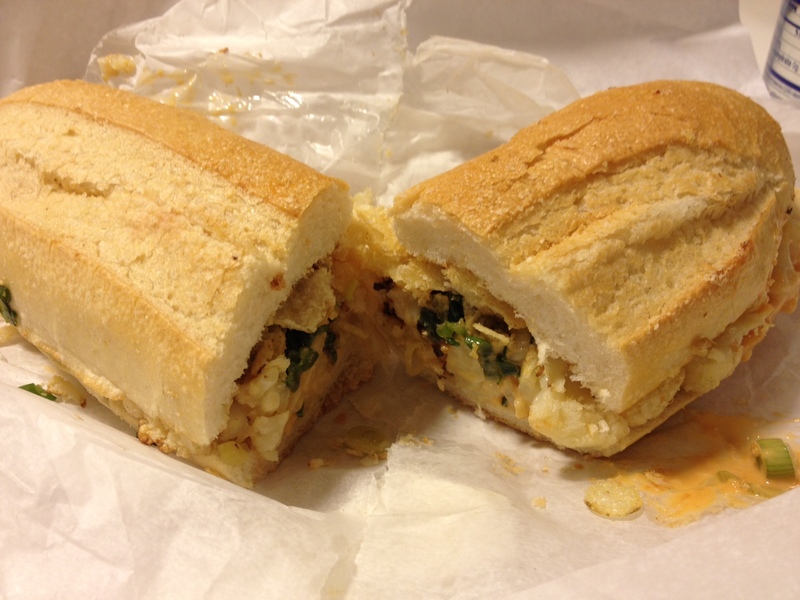 Cauliflower sub from (where else?) No. 7 Sub. Cauliflower, French dressing, raisins, scallions, potato chips. Be open minded. I promise their sandwiches SOUND weird but TASTE like heaven. Not to mention they’re usually a texture-bomb of deliciousness on your tongue. Sorry. 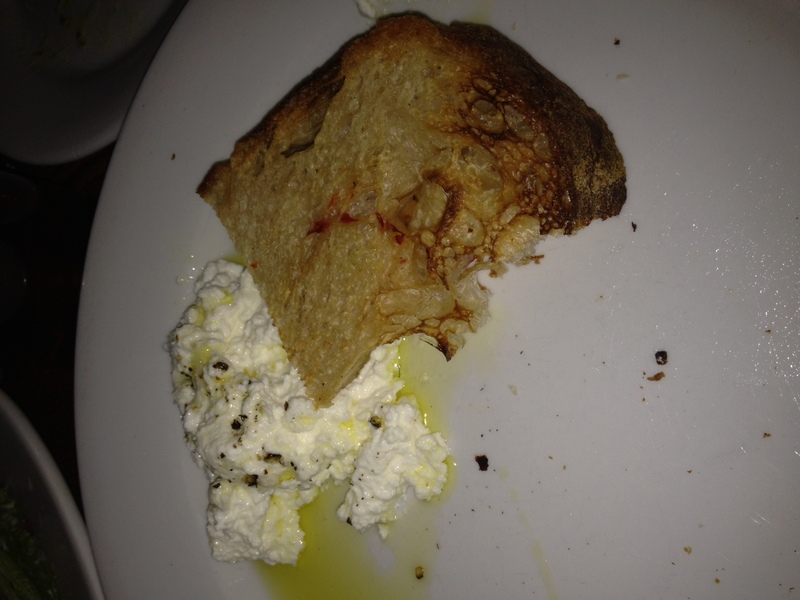 there was more on the plate but you know..
Ricotta with Chili bread from Allswell. Spicy, crusty bread with cool, creamy ricotta and olive oil..yum. Perfect starter. 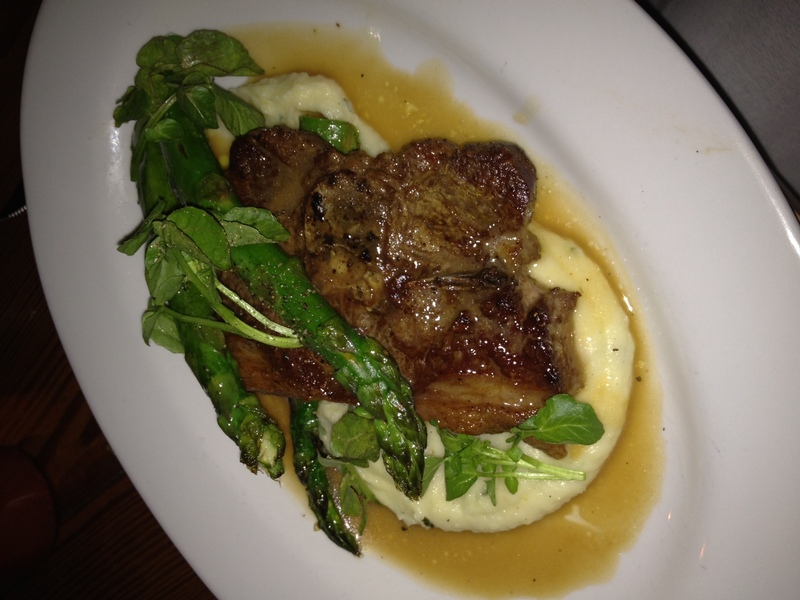 Lamb Chop with Asparagus and Potato Puree from Allswell – perfectly seasoned and cooked. Everything at Allswell is delicious. I have yet to come here and be disappointed. 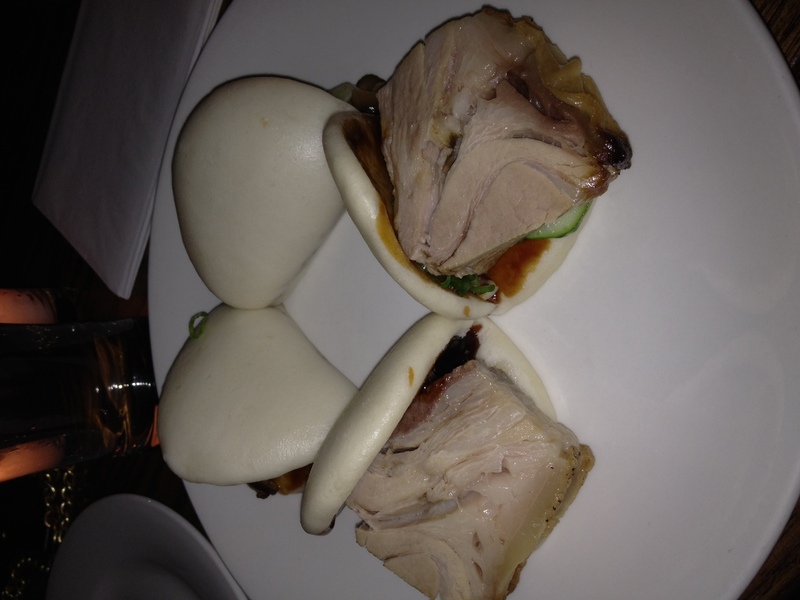 Pork buns from Booker & Dax (@ Momofuku). Generous pieces of pork belly served on pillowy buns. Mmm. I thought the pork pieces were a little large, which I guess isn’t really a bad thing, but it was kind of hard to eat. The mushroom pork buns were just not worth it. If you’re a vegetarian, you shouldn’t be eating something called pork buns anyway, regardless of whether or not the pork is optional…it’s in the title for a reason. 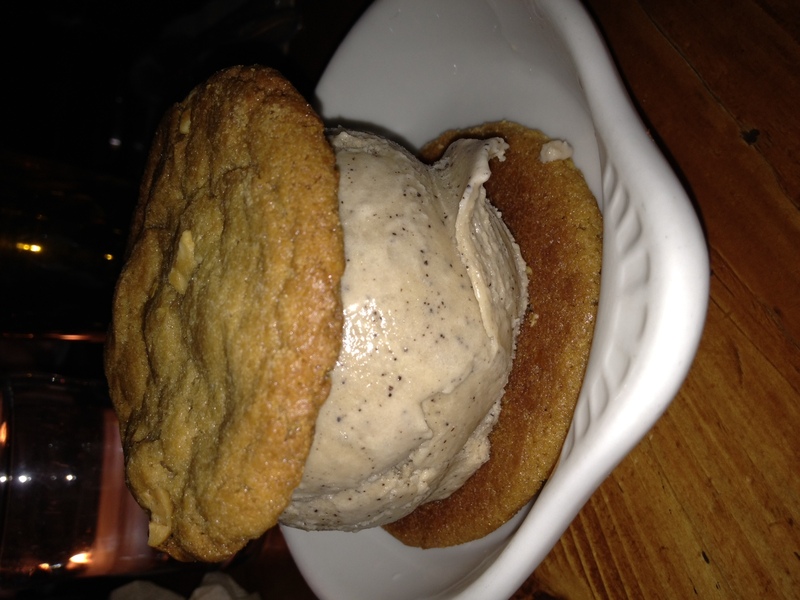 Peanut Butter Cookie with Espresso ice cream sandwich from The Meatball Shop (original, LES location). Stopped in here for a late night snack with Rudy and Nick the other day, and Rudy knocked the sandwich off the dish at one point, so like a mama bear pretending her cub, I dove for it. With a twist of my wrist and flick of my fork I was able to save it. The things we do for love. Rhoda Cookies for Easter. Ok, so this isn’t something you can get just anywhere (though I think she should sell them), but Nick’s mom, Rhoda, makes these AMAZING chocolate chip cookies. 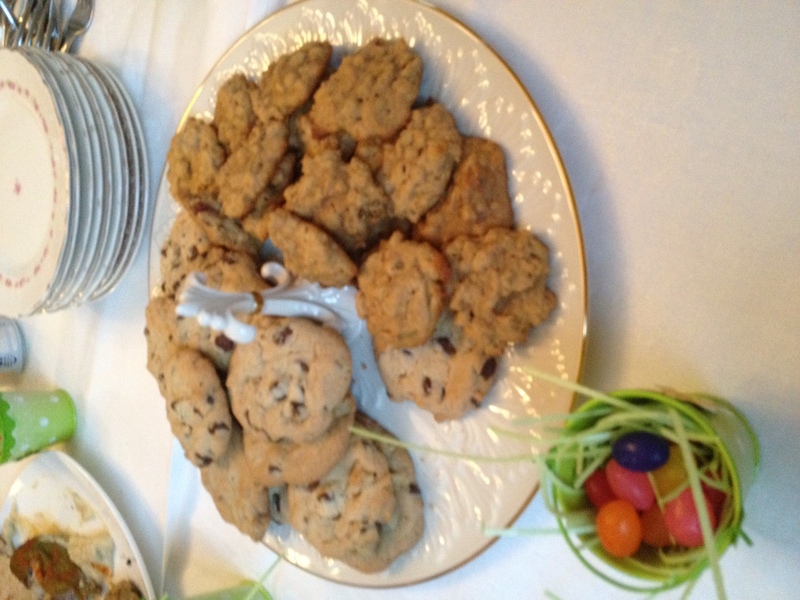 So naturally, we had a batch for Easter along with some peanut butter oatmeal ones as well (on the right). The chocolate chip cookies have been adorably dubbed “Rhoda Cookies” because none of us have yet to taste another cookie that duplicates it. Bravo, Rhoda!